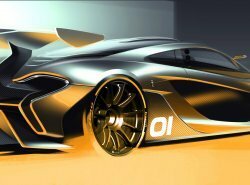 THE NEW MCLAREN P1™ GTR DESIGN CONCEPT WILL MAKE ITS WORLD DEBUT AT THE PEBBLE BEACH CONCOURS D’ELEGANCE IN AUGUST, AS MCLAREN SEEKS TO MAKE THE WORLD’S BEST TRACK-FOCUSED DRIVERS’ CAR. The name alone suggests how significant the car will be – the first time the GTR moniker was used was when a McLaren F1 GTR won the 1995 Le Mans 24 Hours. Available to McLaren P1™ owners only, production on the track-focused McLaren P1™ GTR will begin in 2015, when the 375th and final road car has been built. Customers won’t just be buying the car, though. The McLaren P1™ GTR programme, priced at £1.98m, will include participation in driving events at some of the world’s most iconic circuits with specialist vehicle support. 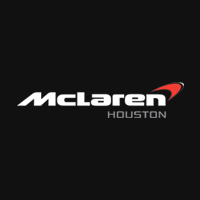 Also available will be access to McLaren racing simulators with driver training from experts that have helped develop and train Formula 1™ champions. In addition, exclusive consultations with the McLaren driver fitness team and Design Director Frank Stephenson will be included in the programme. The McLaren P1™ GTR design concept will be unveiled at 18:00 EST on Friday 15th August at an exclusive preview event at the McLaren Brand Centre, which will be found on the 18th Fairway at the Pebble Beach Lodge. The car will make its public debut on the Pebble Beach Concept Lawn over the weekend.